2 GREAT COUNTRY ACTS, ONE MASSIVE DOUBLE BILL !!! 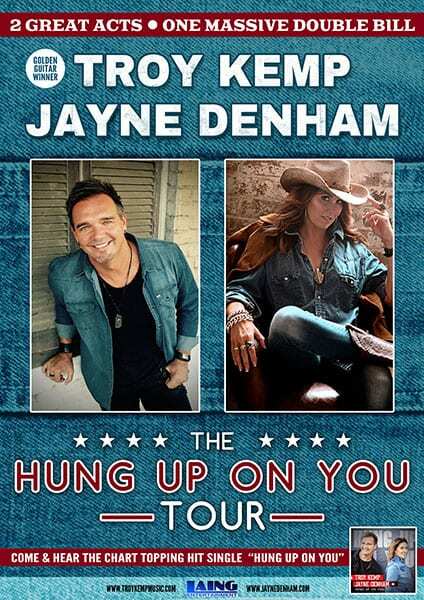 It’s bound to be a boot stompin’ night of yeehaw’s and kickin’ up the dust when Aussie Country Rockers Troy Kemp and Jayne Denham team up to bring you the “Hung Up On You” Tour. Kicking off in the latter half off 2018 this high energy show will boast big guitars, big production and hit after hit from two of Australia’s most recognised Country Artists. With multiple Australian Country Chart and CMC #1 singles, a Golden Guitar, 3 CMC Awards, 3 People’s Choice Awards, a Frank Ifield International Spur Award and almost a decade of touring under his belt, Troy Kemp really knows how to deliver an incredible live show and remains a fan favourite on the country touring circuit. As one half of award winning duo McAlister Kemp, Troy achieved recognition and accolade both locally and internationally, headlining some of the nations biggest music festivals. Troy’s brand new single, the laid back summertime song, “Beach Mode”, has hit the ground running and is rapidly heading north on Country Radio Charts. The video clip for the song, featuring a hilarious cameo by country comedian, Buddy Goode, has just landed on the Country Music Channel (CMC) and is already receiving rave reviews. Listen to Hung Up On You below. Jayne Denham has built a reputation for being a dynamic, high energy, live Country Rock Performer. She is an artist with a passion for the people, the land, the wheels of the industry and those that keep them turning. 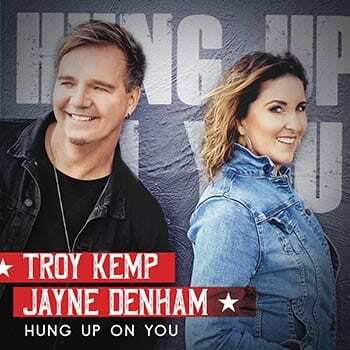 Troy and Jayne together have just released the catchy, cross-over duet single “Hung Up On You” that is seeing incredible download and streaming numbers across all digital platforms and is currently the 2nd most requested song on Australian Radio across all genres !! Jayne Denham’s impressive and relentlessly energetic live show has seen her earn performance opportunities at all major Australian country music festivals and, more recently, invited to perform in the USA. 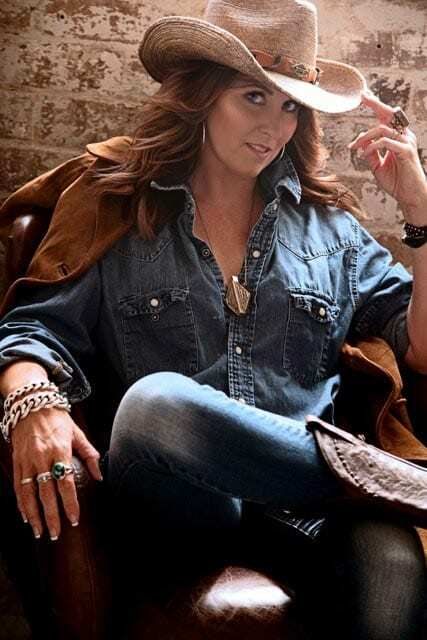 With her ability to tell a story that captures the imagination, Jayne has scored three #1 hits in Australia, six top 10 songs in the National Country Charts, five top #10 video’s on CMC as well as as six Country Music Channel (CMC) and two CMAA Golden Guitar Award finalist placings. Jayne recorded her 4th Studio Album ‘Calamity’ in the US with producer Brian White, in the home studio belonging to Jay De Marcus of Rascal Flatts, who played bass on the album. The rapport she has with her audiences is evident in the chart positions she continues to snag, with her latest album, Calamity, reaching #4 on the iTunes Country Albums Chart, the first two singles, Stacks and Calamity, featured in the top 5 on the Australian Country Tracks Chart, and the single, Calamity, also reached the top 10 on Kix Country Radio. The album reached more than 35,000 monthly listeners on Spotify within weeks of release and the single, Stacks, has reached over 200,000 plays online already. Being known as the Aussie chick who sings truckin’ songs has meant she has performed at US truck shows five times in the last two years in Dallas, Virginia, Ohio and Louisville. With multiple Australian Country Chart #1 singles, a Golden Guitar, 3 CMC Awards, 3 People’s Choice Awards, a Frank Ifield International Spur Award and almost a decade of touring under his belt, Troy Kemp is one of Australia’s most recognisable country music talents. 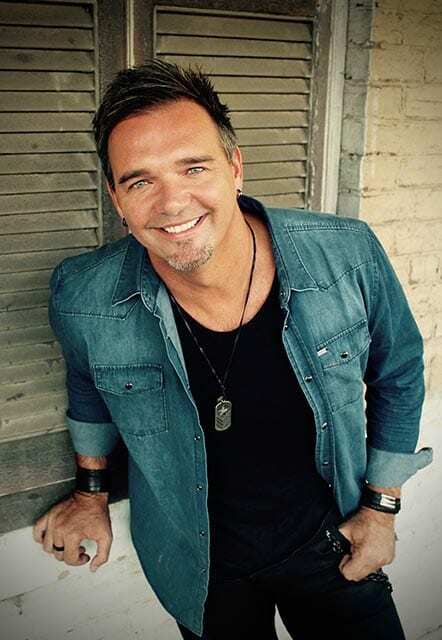 As one half of award winning duo McAlister Kemp, Troy achieved recognition and accolade both locally and internationally, headlining some of the nations biggest music festivals and has remained a mainstay on country radio and television charts over the past 8 years. With McAlister Kemp folding in March 2015 Troy now continues to grow his profile in both Australia and overseas as a solo artist. Troy released his debut solo album “Against The Grain” in December 2015, a hard-hitting country-rock album that really defined Kemp and his sound. The first 2 video singles off the album “How We Roll Around Here” and “Small Town Girl” both climbed their way to the #1 Spot on CMC, The Country Music Channel, and both got to #1 on the Australian Top 40 Country Radio Charts. Along the way Troy was named The 2016 Planet Country Radio Awards “Male Artist” and “Australian Artist” of the Year and was then “fan voted” as one of the 5 finalist’s for Male Artist of The Year at the 2017 CMC Awards alongside Lee Kernaghan, Troy Cassar-Daley, Adam Brand and Travis Collins. 2018 has started with a bang for Troy with his “side project”, Tailgate Drive, with Damien Baguley from the Viper Creek Band, picking up the Rob Potts New Talent Of the Year Award at the CMC Awards. Troy also recently released the laid back, summertime song, “Beach Mode”, that hit the ground running and charted a top 5 at Country Radio. The video clip for the song, featuring an hilarious cameo by country comedian, Buddy Goode reached top 20 on CMC.